Arsh Maini is the Strategy Director for the Africa, Middle East, Asia and ANZ (AMEAA) region for Serco Group plc (a FTSE 100 company). He is an Executive Director on the Board of the Division, and a member of Serco’s Global Management Team (GMT). 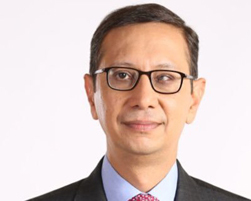 Arsh, with his 15 years of consulting, and industry experience in corporate strategy, is responsible for Serco AMEAA’s strategic growth plans-both organic and inorganic, planning, delivering mergers and acquisitions, as well as ensuring an optimal operating model to meet both growth, and profitability targets. His focus also includes new markets and services strategy aimed at expanding the AMEAA footprint. As a management consultant with Deloitte Consulting and PricewaterhouseCoopers, Arsh has helped set up PwC’s outsourcing advisory practice out of New York. He has also advised global corporations on initiatives spanning new market entry, commercial due diligence, operating model development and merger integrations. You can connect with Arsh Maini by dropping him an email at arsh.maini@head-held-high.org.